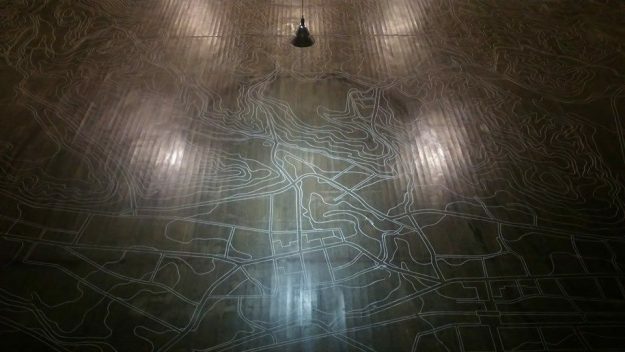 Lie of the Land was a work inspired by the landscape of Nakanojo, a town located in a mountainous area of Gunma prefecture, Japan. 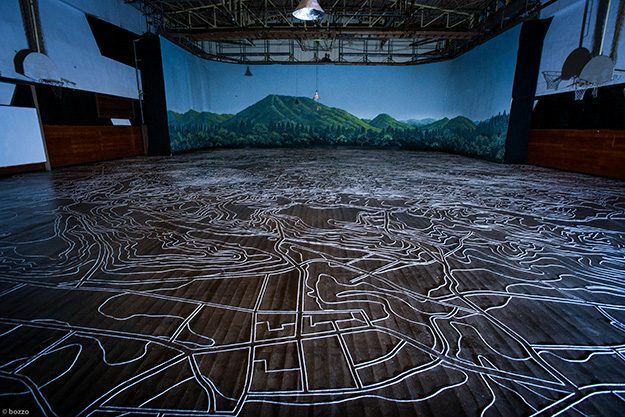 Occupying a former school gymnasium that had been used as a film set for “Sleeping Man” (Oguri Kohei, 1996) and which still contained a large background painting of the surrounding landscape used in the film, the work took the form of a delicate sand drawing based on the contour lines and manmade roads from a topographical map of the area. 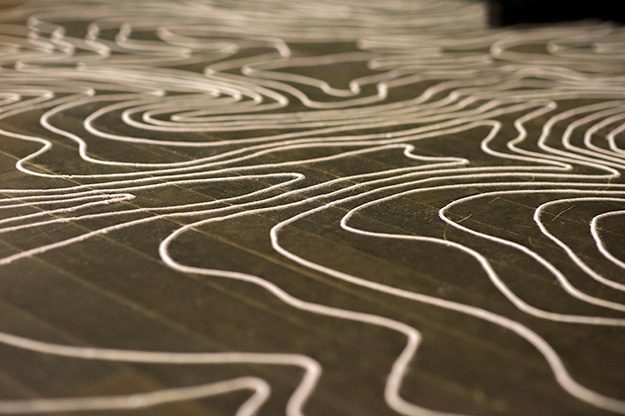 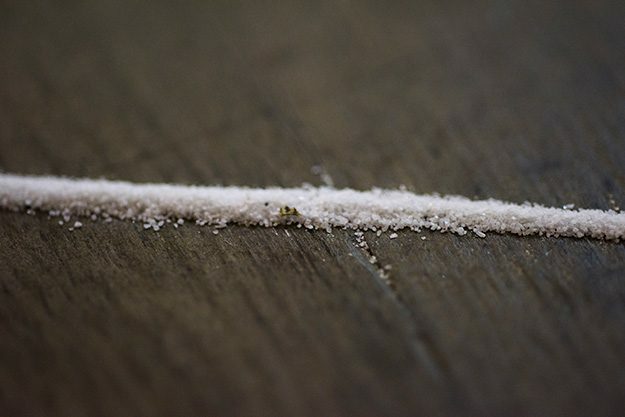 Though recognizable as a topographical map – here representing a system originating in the occident that can be seen as part of a broader endeavor to quantify the physical world – the work invites comparisons with Asian notions of impermanence by using white sand without glue or fixative. 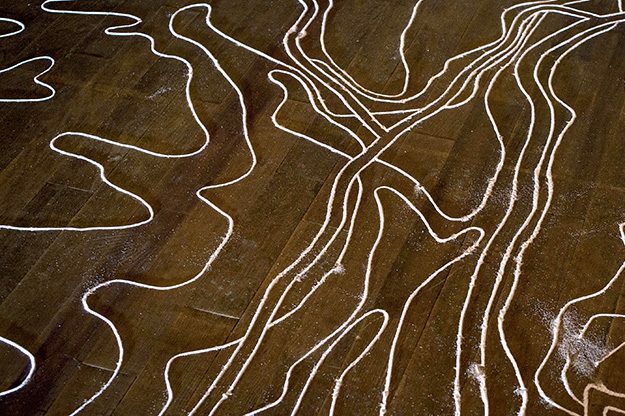 Inviting viewers to enter the drawing on the last day, the act of physically changing the drawn lines through human error was a symbolic gesture reflecting the ceaseless changes in the environments we inhabit.